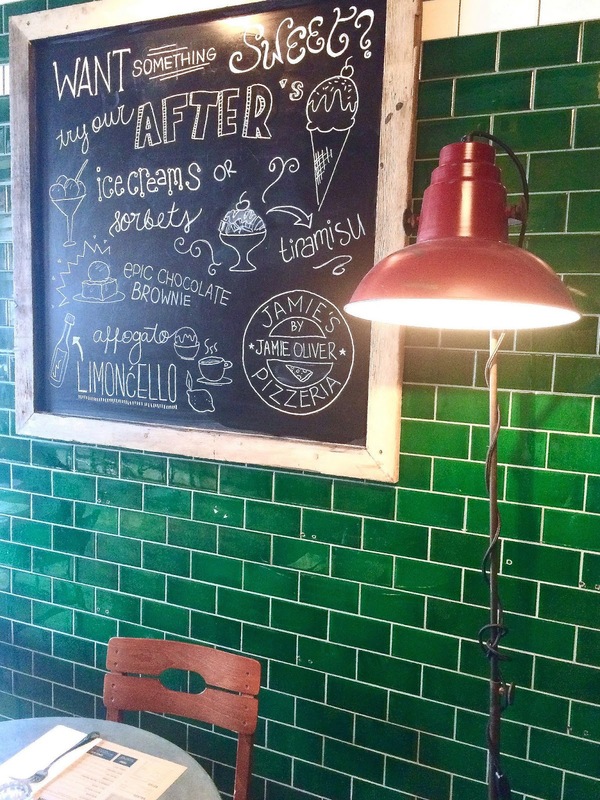 I must admit, arriving home from work recently to spy an email inviting me to come along and sample the offerings of the new Jamie's Italian Pizzeria in St Albans* made me pretty darn happy. As a local blogger with a penchant for pizza, it was an invitation I just couldn't pass up. What can I say? I'm a girl that loves her food. Particularly pizza. We actually arrived in St Albans around an hour earlier than our booking slot to do a spot of shopping but we decided to chance popping into the restaurant a little earlier incase they could squeeze us in slightly sooner; on arrival we found the service to be impressive as we were advised it was no issue at all to eat an hour earlier than planned and we were shown to our table. 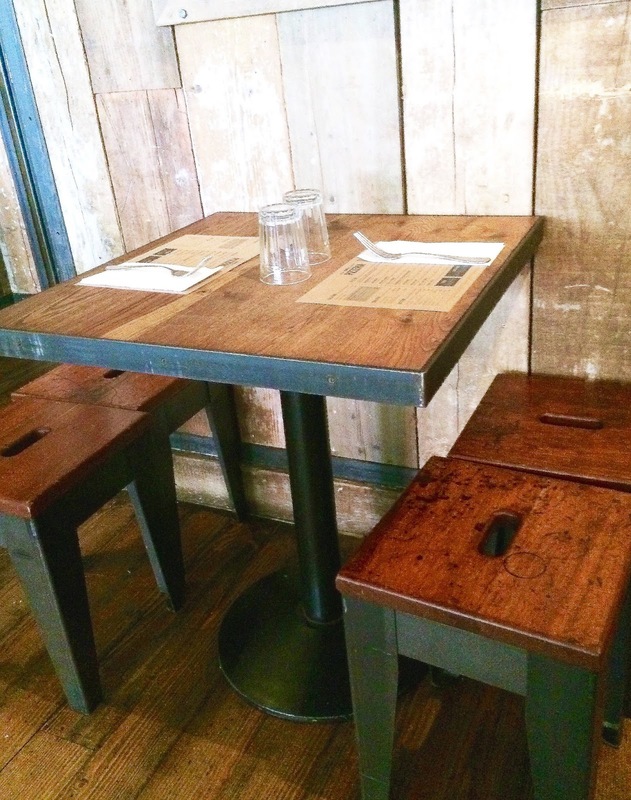 On a side note, I loved the rustic-feel of the restaurant furnishings and the table that we were sat at. The restaurant has quite an 'industrial' feel to it with its heavy-duty lighting and wooden furniture with metal detailing. 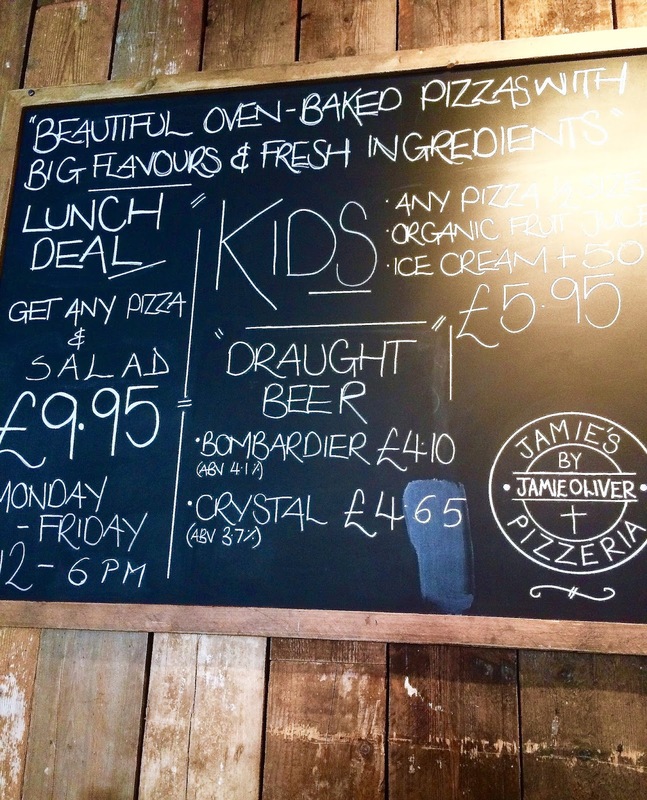 The restaurant currently has a lunch deal available for any pizza & salad for £9.95; the menu is fairly small in terms of its selection, however, it does make for a perfect stop-off lunch visit. There are around 9 pizza options on the menu, and 3 basic salad options. 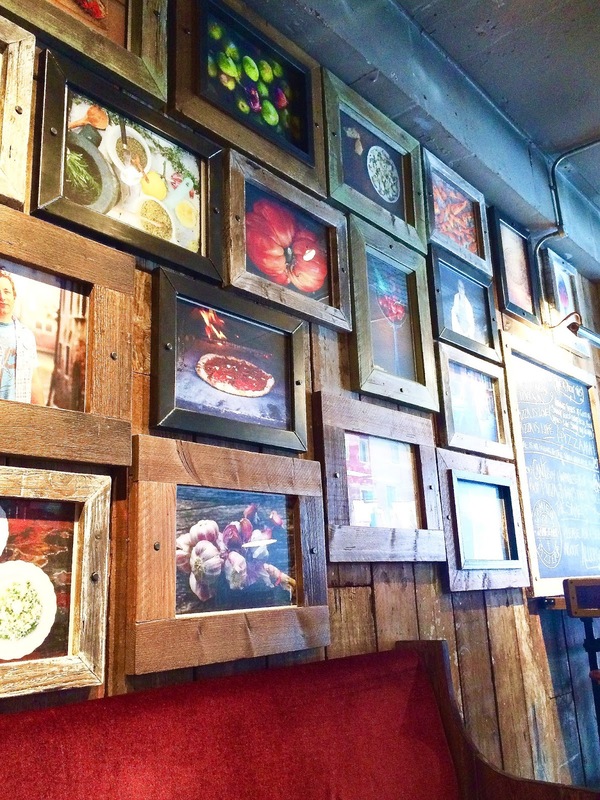 The restaurant isn't trying to be anything other than what it is with its food offerings, it is a pizzeria after all. We decided to give the menu a good try and we went for a starter, main and dessert each, plus drinks (inevitably I started off the afternoon right, with a Moretti beer in hand). 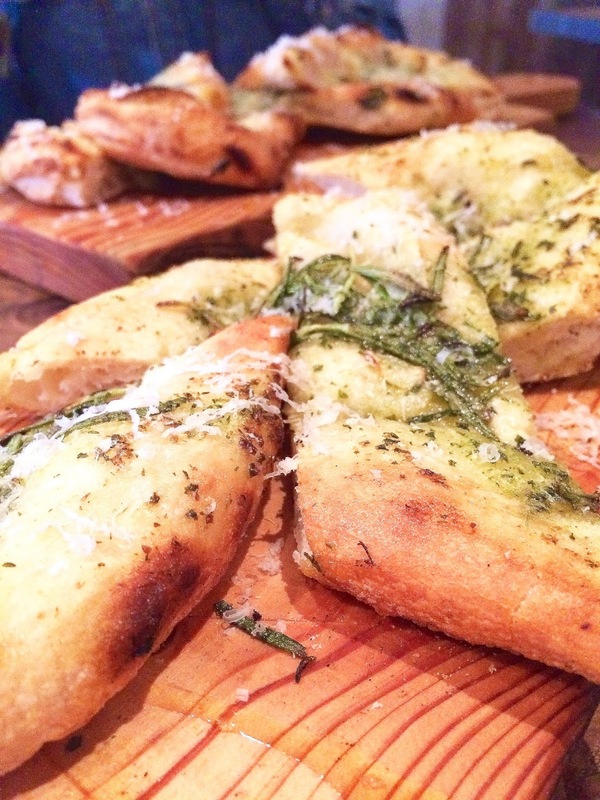 For our starters, we decided to try both the plain hand-stretched garlic bread and the same again but with a topping of Pecorino. We may have potentially had eyes bigger than our stomachs, not realising just how much food we had ordered, although I wasn't complaining. What I liked about the food, the starters in particular, was that it didn't taste typically 'bad for you', which you would associate with a pizzeria. The ingredients tasted so authentic and oozed with flavour. I also can't explain how hungry this is making me typing about their garlic bread right now... another visit is just going to have to be made. 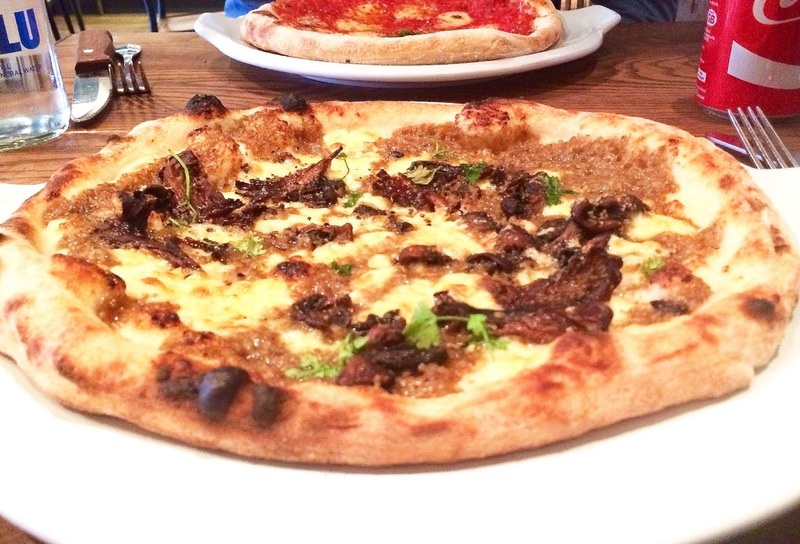 For our mains, I decided to go for a basic Margherita and Alex went for the slightly more interesting, Funghi Misti. Like with the starters, we both agreed that the pizzas tasted really authentic and for the price, their size was very generous. 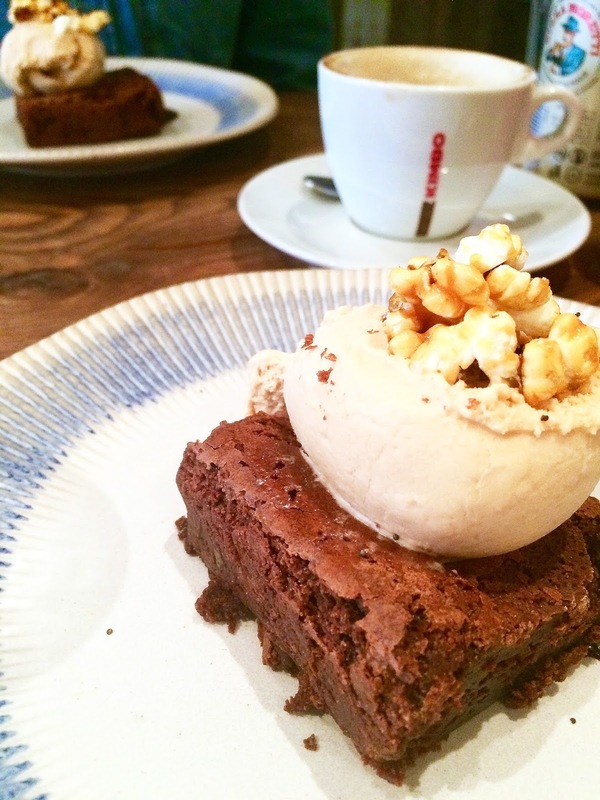 Naturally, we both agreed that we were far too full for anything else, and then we spotted the dessert menu. 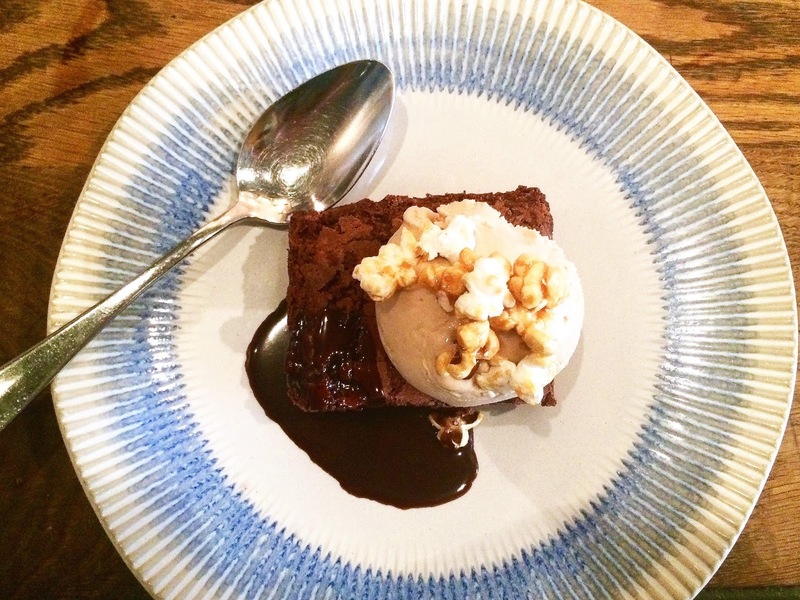 We both decided to copy each other and go for the Epic Chocolate Brownie, which was just as described; the chocolate brownie came with a scoop of ice cream (which I believe was salted caramel and is always in my good books), a topping of popcorn and drizzle of melted chocolate. As we were leaving the restaurant, we briefly browsed the items for sale by the entrance. I thought it was such a cute touch that there were gifts for sale, including condiments for the foodies and printed tea towels and homewares too. 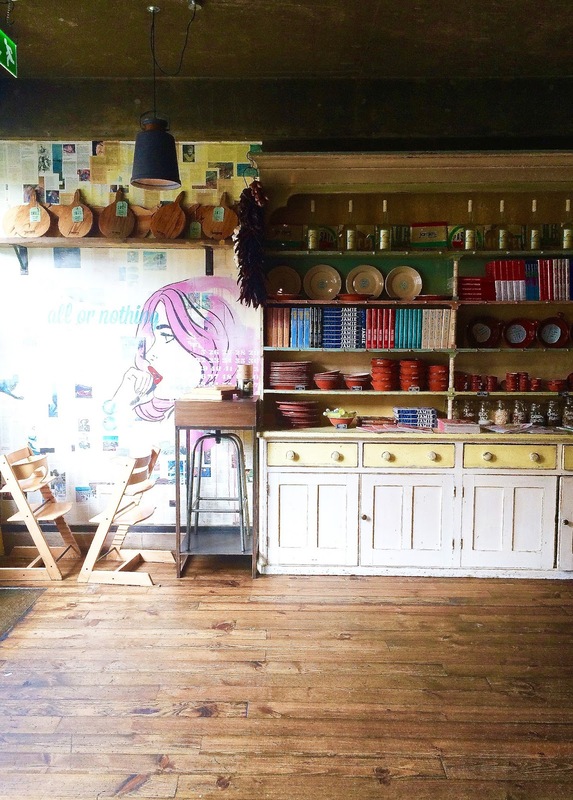 I'm admittedly a bit of a sucker for Jamie's homeware range and I have his weighing scales and cooling racks in my collection as it is, finding myself forever trawling Amazon for which items of his to pick up next. 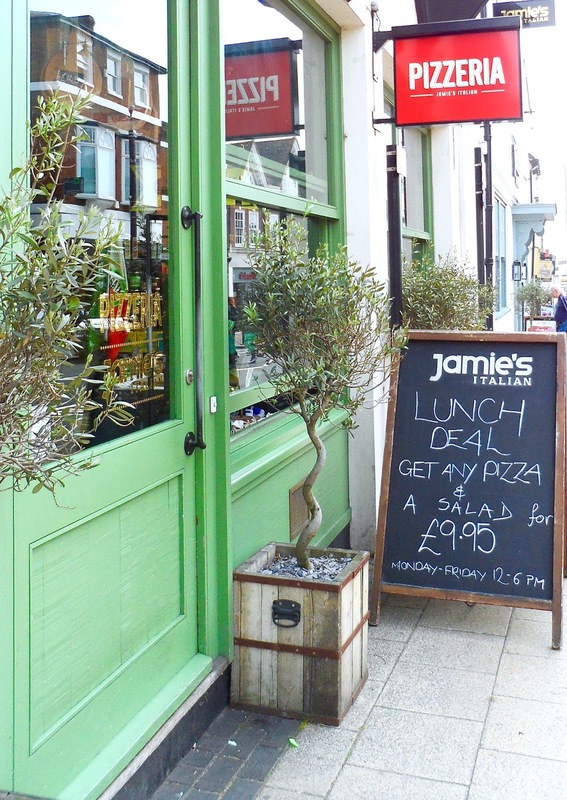 All in all, we had a lovely lunch date at the restaurant; the Pizzeria was a lot quieter than Jamie's Italian next-door and it was perfect for a relaxed lunch. As I'm typing this up, I'm already day-dreaming about going back to have their starters again. 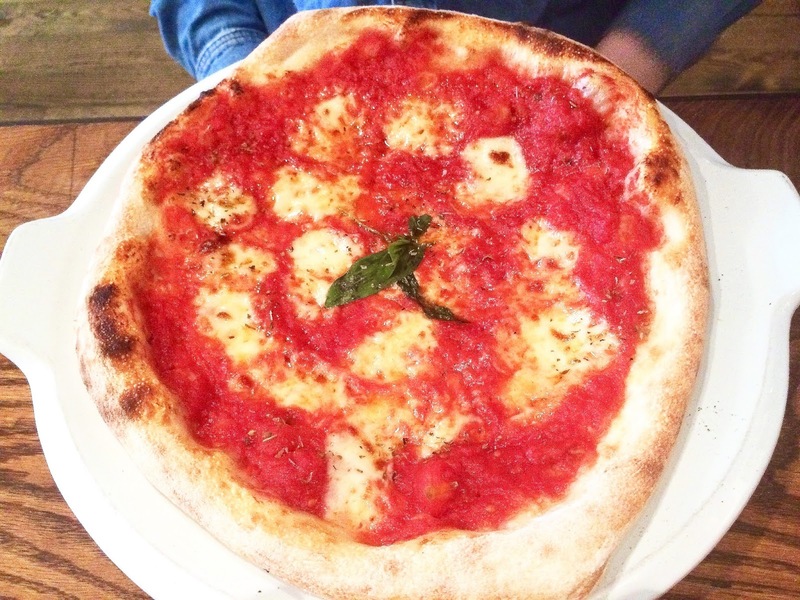 In my opinion, the Pizzeria makes for a guilt-free lunch or dinner as the majority of the dishes on the menu are committed to nutrition with the ingredients being carefully sourced and prepared. 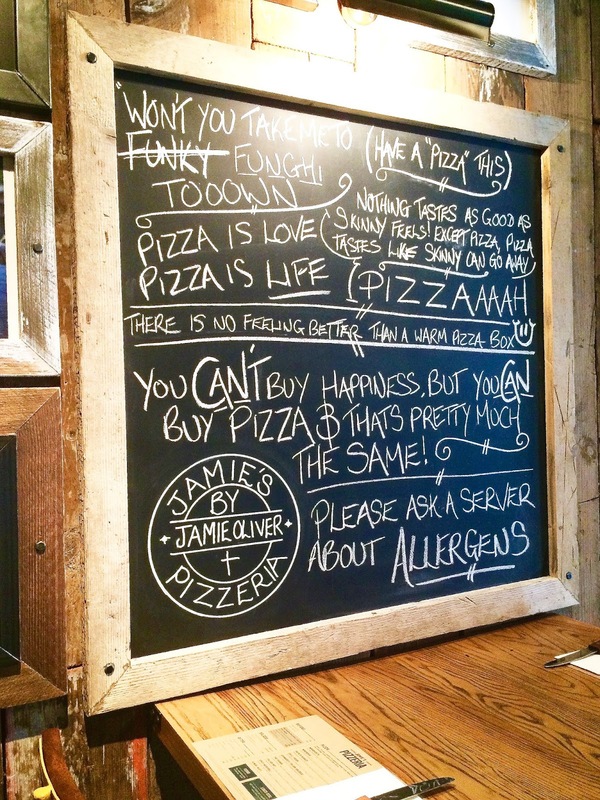 Have you visited any of the Jamie's Italian Pizzeria's yet? What is your favourite dish? *We were kindly gifted a monetary sum to use towards the value of our meal for review purposes. All opinions however are my own. 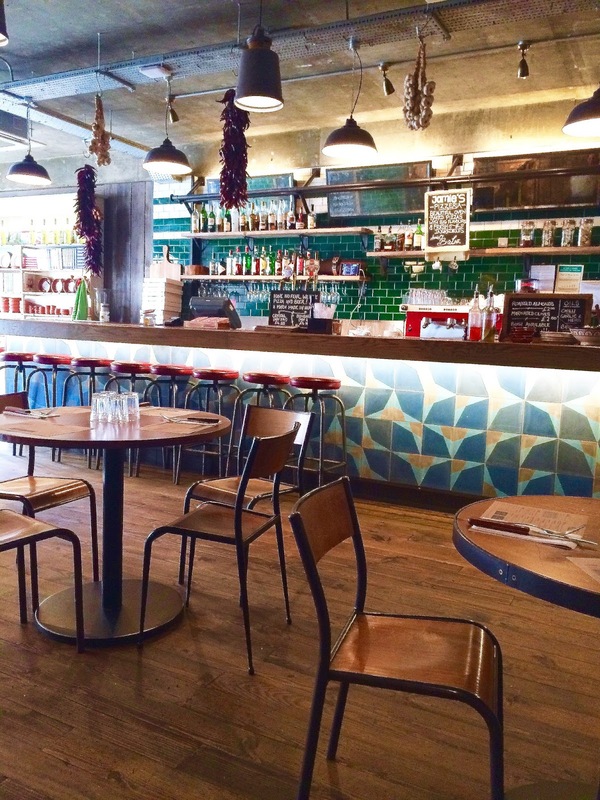 I've only been to one Jamie's Italian and it was so yummy! There isn't one near me unfortunately! I'm so hungry looking at those pictures haha and that dessert looks absolutely amazing!